If your patient is diabetic, it is always a good idea to check their blood glucose on a regular basis. The task may sound intimidating at first, but with a little practice, it becomes second nature. On average, a blood sugar should be between 70-110. 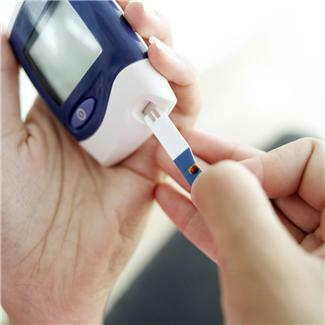 A glucometer or accucheck machine is the device used to check blood sugars. You can easily and cheaply buy one today that will give you an accurate blood glucose almost instantly. Some are quite bulky, like the ones I use at work in a hospital setting, while others are small enough to fit in the tightest pockets, like the one I bought for myself. Scroll to the bottom of the page to order one for yourself. No, I am not diabetic, but it never hurts to check your own blood sugar occasionally. It’s also great practice to check for somebody else. If you can check your own, you can definitely check someone else’s. Other things you will need are test strips, alcohol pads, gauze pads, and a lancet. Most of these things will either come with a glucometer kit, or be in the same section right next to where the accucheck machines are sold. 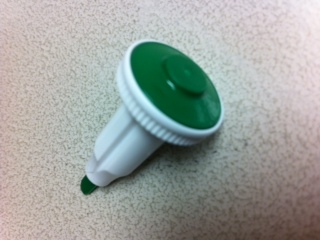 First, you need to swipe an alcohol prep pad over the tip of your patient's finger. The side of the finger works best but a select few may want the very tip of the finger. It is always best to ask which finger to use. With my experience, many people think that is a silly question, but some patients do want a specific finger. 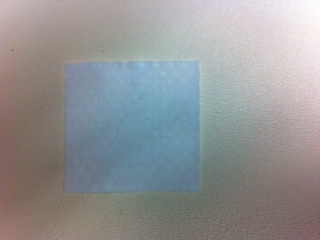 After the alcohol prep pad, the gauze pad should be swiped over the same spot. Then the lancet should be aligned and pressed. Be gentle with this part. What may not be painful to you will be painful to others. Some needles don’t need to be pressed very hard. Figure out what kind of needles you are working with and adjust to create a hole deep enough for a few drops of blood to come out. Why a few? Because the first drop has to be wiped away. If the finger doesn’t bleed at first, squeeze it gently until you see that first drop, then wipe it away with the gauze pad. You may think this step is unnecessary but from experience, I can tell you it is. I have checked a patient’s blood glucose before without wiping the first drop, and then checked it again right afterwards, wiping the first drop, and got two completely different readings. Since then, I have never skipped this step. 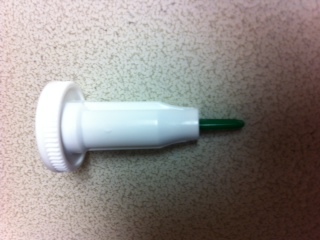 You then apply the second drop to the test strip attached to the glucometer. Make sure the entire area on the strip is completely filled. Even if the accucheck machine starts reading the strip, it doesn’t mean it will be accurate if it is only half filled. Get another strip and repeat the test if necessary. 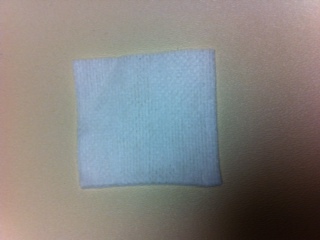 If the finger is still slowly bleeding, hold the gauze pad over the finger until it stops. It usually only takes a few seconds. Although 70-110 is considered average, at our facility, nurses usually don’t give the patient insulin unless their sugar is 150 or higher. Insulin is the quickest and most preferred method of bringing down a high blood glucose. On the other hand, many things can used to bring up a low blood sugar. Basically, any food or beverage with sugar. I usually grab my patients orange juice and graham crackers. Extra sugar packets can even be added to the orange juice if the reading is extra low. It is always a good idea to do a recheck a few minutes after these things have been done to make sure they did the trick. It is a lot easier to tell if someone has a low blood glucose than a high one. I have seen many patients with accucheck readings over 500 and they seem perfectly fine, although a low blood sugar has many symptoms. Lots and lots of sweating, drowsiness, and confusion are some of the most common. I have seen many beds drenched in sweat from this. Some patient's blood sugar can drop extremely quickly. 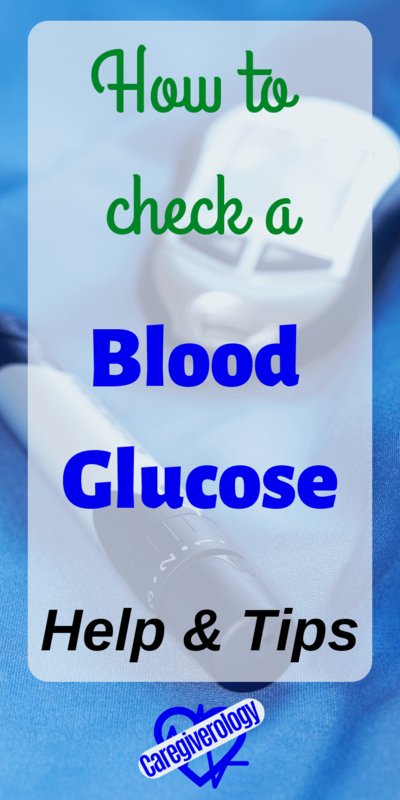 If you have any suspicion of an abnormal blood glucose, check it. It can never hurt. Even though most patients have a set schedule, especially in a hospital or nursing home, always check it if they ask for it to be checked. The same goes for all of the vital signs. Even if you think the reading will be normal, check it to give the patient peace of mind. They will be grateful for it.